ACCOUNTANCY students in polytechnics can now work towards getting a professional certification while still pursuing their diploma. A programme opening up this new route will be jointly developed by Singapore Polytechnic (SP) and the Institute of Chartered Accountants in England and Wales (ICAEW), following a Memorandum of Undertaking (MOU) signing yesterday. 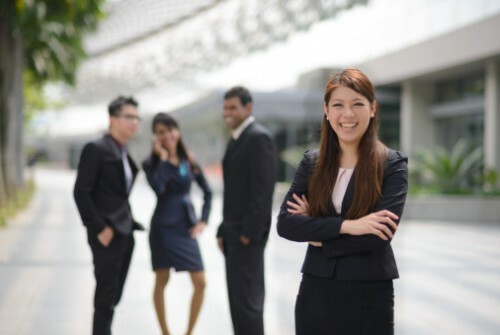 The programme is primarily targeted at SP accountancy students who prefer to enter the workforce immediately after graduation; it may be opened up to students of other polytechnics down the road. SP's course manager Tan Yen Yen said: "A growing number of our accountancy graduates are choosing to go into the industry as soon as possible, rather than pursue a degree at a local university. "They want to deepen their technical expertise and are prepared to work and study at the same time. This programme helps to meet their aspiration to get certified." The programme is geared towards getting these students through the five tests required for the Professional level of ICAEW's Associate Chartered Accountant (ACA) qualification, although SP's accountancy students will be able to obtain some credits towards this from studying for their diplomas. The Professional level is the second of three levels making up the ACA qualification structure. The students will become full-fledged ICAEW Chartered Accountants upon completing the third (Advanced) level, which requires them to complete at least 450 practical work experience days, or about three years of that. ICAEW chief executive Michael Izza said: "The ACA qualification is recognised as challenging but not unattainable. If you're bright, committed and numerate, there is no reason you can't get there." SP is looking at a pilot run of about 20-25 students, about 10 per cent of its annual accountancy intake, beginning in March next year. These students will get a head start on their peers who choose the more conventional route of pursuing a degree, because they will have secured ICAEW Chartered Accountant status in the time it takes their peers to earn their degree. The stronger technical skills and pedigree that come with the ACA do not go unrecognised by employers, said ICAEW South-east Asia's regional director Mark Billington. "It's a very attractive proposition for employers to have employees coming in with a greater depth of professional qualifications," he said. "The ACA is a real differentiator."